Boys’ Sweatshirts Starting At Just $2.24! Down From $16! PLUS FREE Shipping! You are here: Home / Instagram / Boys’ Sweatshirts Starting At Just $2.24! Down From $16! PLUS FREE Shipping! Until May 20 only! Hurry over to Kohls where they are having clearance sale on Kids Clothing! 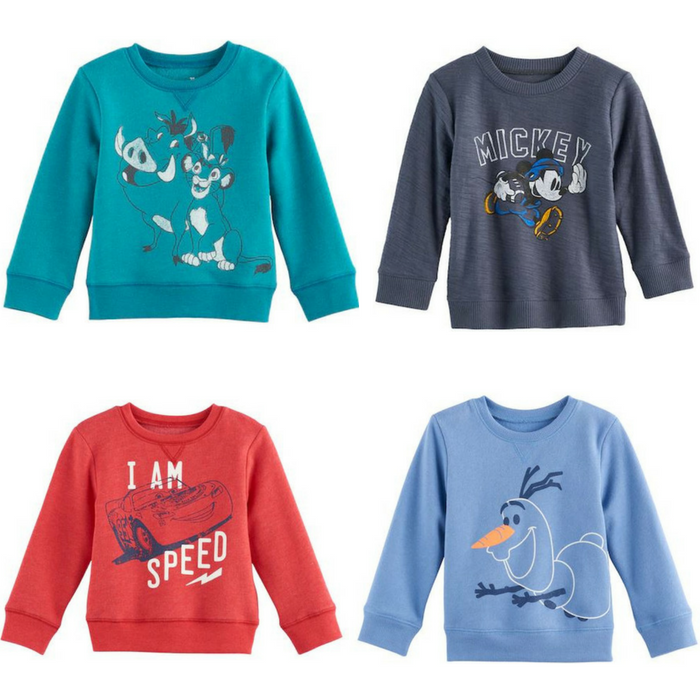 As an idea, Disney Boys’ Sweatshirts are on sale for $3.20. Even better, Kohls Cardholders can use promo codes MOM30 for 30% off and FREE4MAY for FREE shipping to pay just $2.24 regularly $16! If you’re not a cardholder, use promo code SAVEMORE20 for 15% off sitewide and FREE store pickup or shipping over $75 orders!